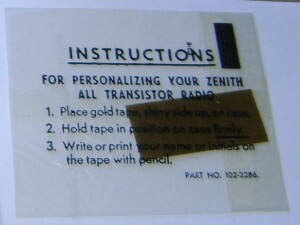 Here is an original Zenith gold personalizing strip for the Royal 500 series. 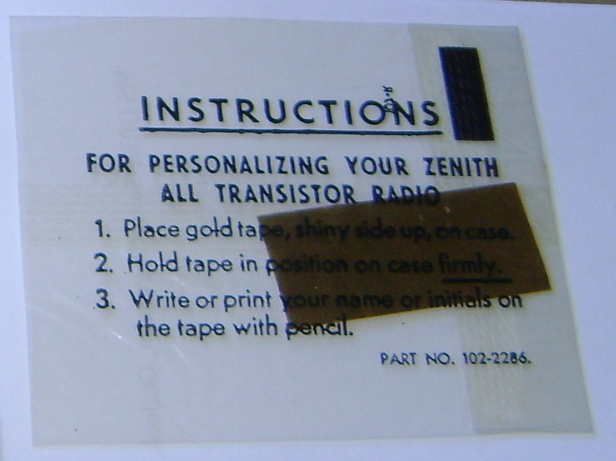 Zenith obviously realized that at $75 back in the 50’s, that these radios would be prized possessions and to help identify the owner they provided one of these strips with each radio (I believe). 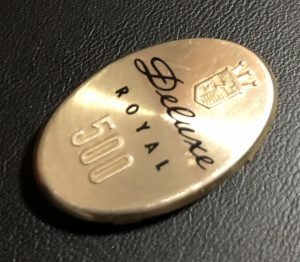 Condition: This is unused and is still sealed in it’s cello pack.